Not a fan of the stock mirrors, although I certainly don't hate them. Anyone running the Rizoma 4D mirrors on their Strada? Thoughts? There aren't many Rizoma products I don't like. I especially like the frame sliders they offer. But there prices are on the ludicrous side. I just can't justify blowing a 1/3 of the value of my bike on plastic bits. To me, it's like $3K rims on a used Honda Civic. Motivation has them for $121 per mirror. This is high but not too outrageous compared to some of the Adventure parts I have put on my Honda. 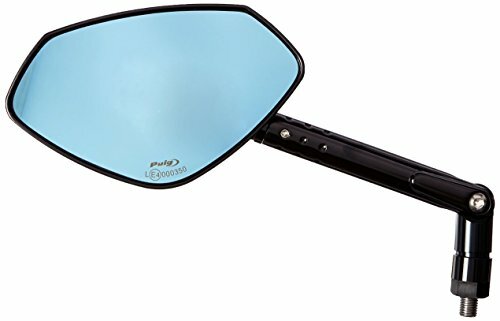 Wish I'd seen these when I replaced my mirrors as they seem a bit nicer than the ones I landed on and aren't that much more expensive. They aren't bad, but I've had some issues with adjustability as well as one of the set screws vibrating loose (blue locktite oughta fix that). I think back to my crotch rocket days when all I wanted to do was remove the mirrors. The stockers are fine except my left one folds in the wind at 80+ a bit. I went ahead and ordered a set. I find the stock give only a partial view with either mirror. I'm looking for better coverage. I read these do the trick so I will post what I find out.